North Fish rozwija kanał delivery w Szczecinie! | North Food Polska S.A. Since 11 March, customers in Szczecin have had been able to order the best fish and seafood dishes by telephone from the North Fish restaurant at the city’s Outlet Park. Hot tasty meals are transported in a special vehicle, ensuring fast delivery to the desired address. Customers can also order online through PizzaPortal.pl. 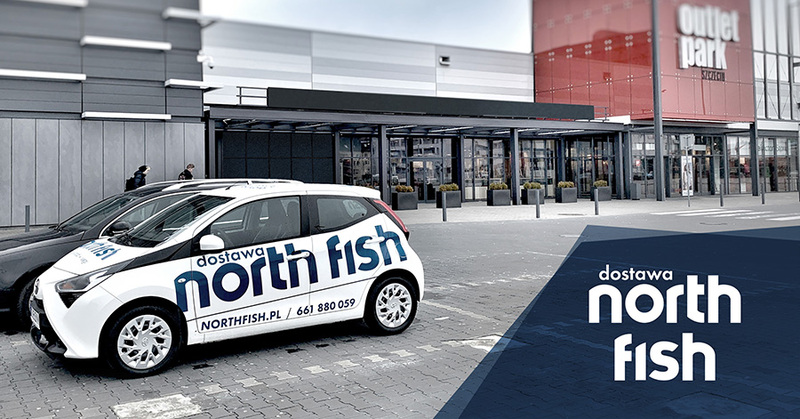 “The portfolio of North Fish restaurants offering home delivery has increased by another location – the North Fish Restaurant at Centrum Outlet Park in Szczecin. From now on, customers on the right bank of Szczecin can order the wide range of fish, seafood, fresh vegetables and refreshing drinks offered by North Fish to be delivered to the address of their choice. Orders can be placed by telephone, via the website PizzaPortal and soon via Pyszne.pl too. In order to meet our customers’ expectations, and to simplify the entire process, we have made it possible to order food by telephone directly from the restaurant. This option means that our employees can help make the best choice, composing the ideal meal for the customer and answering any questions,” says Przemysław Pukiewicz, Operational Process Support Manager. The option to order by telephone and have personalised deliveries will be extended to further North Fish premises this year.